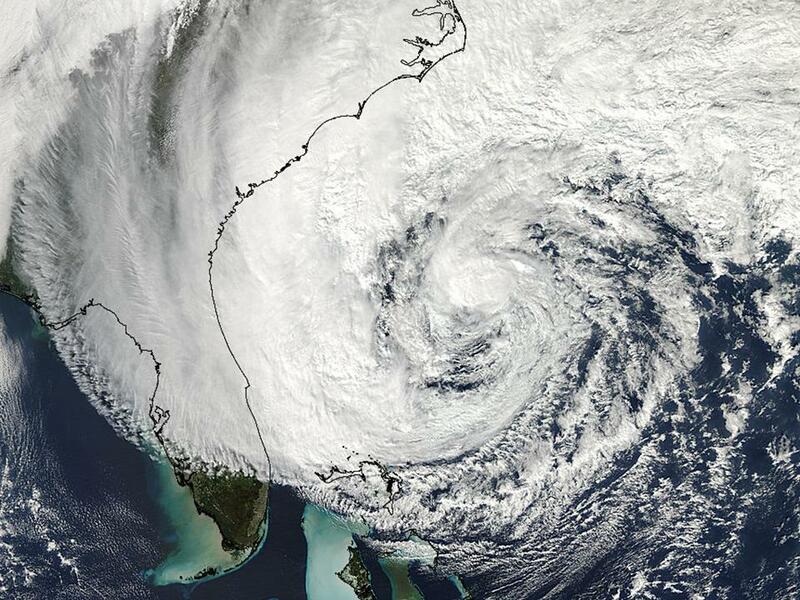 While it is possible that climate change played some role in the destructive power of Hurricane Sandy (say, due to slightly higher sea levels), there is no good statistical evidence that landfalling hurricanes in the U.S. (or global hurricane activity) has gotten worse in the last 40 years or more. In fact, as of this writing (May 30, 2013) the U.S. has gone a record length of time without a Category 3 (or stronger) hurricane making landfall...2,773 days. There continues to be great uncertainty and disagreement among climate experts whether global warming should cause a change in the frequency or intensity of tropical cyclones.